Get out and about in Watford and walk your way to wellness! So, are you one of the thousands that have signed up for the gym as part of your get fit New Year resolution? And has the novelty worn off yet, and taken all your enthusiasm with it? Well maybe, just maybe, your resolution can be rescued before that extra Christmas poundage gets irreversibly attached to your hips. You would think, in this technological age, that exercise would be a whole lot easier. Let’s face it, we don’t even have to venture outside our own front door to avail ourselves of interactive fitness programmes and simulated sports sessions, not to mention the plethora of predominantly Z List ‘celebrities’ cornering the fitness DVD market. And if we don’t fancy interactive you can pick up a treadmill or exercise bike for a snip these days, or indeed you can spend a fortune on top of the range, state of the art home gym equipment. What could be easier than a 30 minute session before heading off to work, and another 30 minutes in the evening. You are even able to jog and watch Corrie at the same time! For most of us, the only way we’re going to sustain an ‘exercise’ regime is if we don’t really think of it as exercise. It has to have a social element, it has to be an enjoyable break from our daily routine and it has to leave us feeling refreshed and revitalised, not heading for the nearest osteopath! Walking in Watford fulfils all these requirements. Getting outside, even when the weather is a bit dodgy, is arguably the best all round exercise you can get. One of the greatest benefits of exercising outdoors is that it costs nothing! While a gym membership could cost anything between £20 and £50 month, no one’s going to make you pay to walk outside. There’s more space, more freedom and you don’t have to pay a penny to experience any of it. The sun is a great mood booster, and the vitamin D it provides is wonderful. It makes your bones stronger, strengthens your immune system and helps protect your body against all kinds of ailments. Although vitamin D can be obtained from other sources, the sun has got to be the most ‘feel good’ form there is. Walking into gym changing rooms, or even the gym itself, can be something of a pungent experience. Whilst reputable establishments will take as many precautions as possible to prevent the spread of infections and airborne bacteria, the very nature of a gym makes it an ideal breeding ground for all sorts of nasties. Taking yourself out into the fresh air, wrapped up warm against the cold or feeling to sun on a summers day is always going to be beneficial. With the Government and Environment agencies constantly working towards reducing air pollution, the choking smogs of the 1950’s are a thing of the past, and even in more built up areas air quality has significantly improved. Exercising outdoors provides mental stimulation that indoor workouts cannot. Whether you’re working out at home or in a gym, you’re surrounded by the same four walls for your workout – and they probably aren’t very exciting. Add to that the background noise of blaring music and wall to wall video screens showing pop videos, news and sports channels and you won’t exactly be in a ‘getting away from it all’ frame of mind. On the other hand, going outside gives you constantly changing scenery that stimulates and excites your brain. Your mind can get a workout at the same time your body does when you exercise outdoors. And if you do want music, it can be your choice, in your headphones. Exposure to sunlight is a common treatment for depression and other mood disorders. Studies show that depressed exercisers who go for a walk outdoors feel happier and have better self esteem than those who walk on a treadmill indoors. Research has shown that regardless of weather conditions even a short, brisk walk outside can energise you, restore mental fatigue and lift your spirits for the rest of the day. A walk outside is the perfect fix for a bad mood! Watford and Three Rivers Health Walks programme aims to help everyone get outside, reaping the benefits of outdoor exercise, enjoying some of the stunning scenery here on our doorstep and sharing the experience with like minded people. Offering a series of free, led walks of varying length and pace, including wheelchair friendly walks, there is something to suit all ages and abilities. Requiring no special equipment, just suitable walking shoes and weather appropriate clothing Watford and Three Rivers Health Walks are led by volunteers who are trained in leading and basic first aid. There is no competitive element, the emphasis is on health, wellbeing and enjoyment. Numerous walks take place each week so you are sure to find a time, distance and grade of walk to suit. 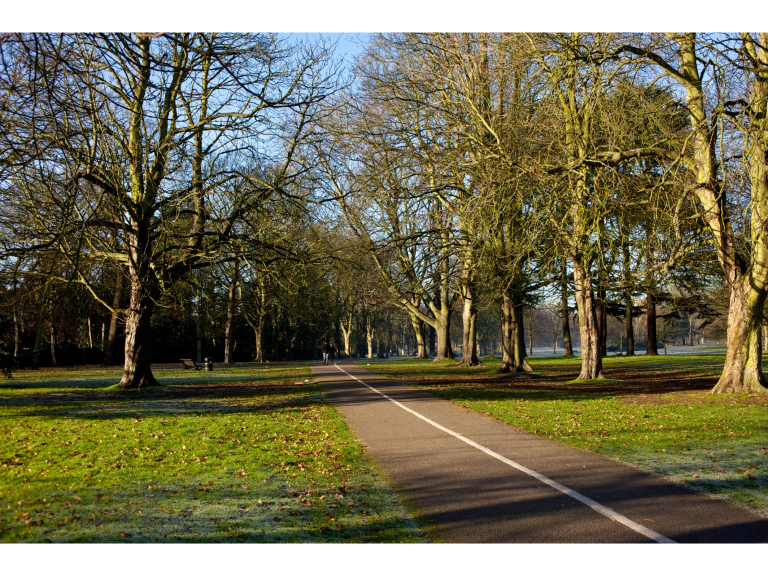 Please click here for more information about Watford and Three Rivers Walk: Cassiobury Park. Please click here for more information about Watford and Three Rivers Walk: South Oxhey. Please click here for more information about Watford and Three Rivers Walk: Croxley Green Harvester. Please click here for more information about Watford and Three Rivers Walk: Croxley Green. Please click here for more information about Watford and Three Rivers Walk: Rickmansworth WD3 8SY. Please click here for more information about Watford and Three Rivers Walk: Rickmansworth WD3 4AA. *except Davina McCall…Davina McCall is amazing! To see the businesses in our Health and Fitness Advice section, please click here.